As a parent in Monmouth County, you get to enjoy living in a nice part of the country, and it’s great knowing that the beaches are a short drive away when the warm weather hits. With your kids in school, you may have concerns about their grades and how they are doing at making friends. Another concern you may want to give a little thought to is the problem of head lice. The topic of head lice may not be uppermost in your mind, but there are reportedly 12 million lice outbreaks a year in the United States. While they do not carry disease, they are an annoyance for those infested with them because they can cause a red, irritated, itchy scalp. Children can easily catch lice since they are readily spread by head-to-head contact, and your kids are in constant physical contact when playing after-school sports, scrunching together to take that selfie with friends or while playing in general. You may not know where to start upon learning that your child or children have lice. 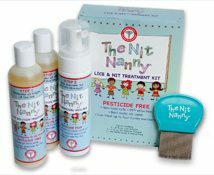 Some may go to the store to buy a lice shampoo only to discover that lice have grown immune to the toxins in these products over their years of use. As a parent, you should know that when it comes to lice removal Monmouth County does have an effective, affordable solution to the problem that you need to know about. Just as you hire a plumber to fix a burst pipe or go to a dentist to have cavities filled, there are experts when it comes to head lice removal. At Lice Lifters Tom’s River, we’re located in Ocean County, and we are right next to Monmouth County and convenient to parents in Asbury Park, Belmar, Howell, Lakehurst, Freehold Township and Ocean Township. Our head lice clinic is the professional solution to this annoying problem that may be plaguing you and your family. At Lice Lifters Tom’s River, we start by doing a head check to ensure that you or your family members do indeed have head lice. Our trained technicians at our lice treatment center then perform a thorough comb out to ensure all the eggs, known as nits, are removed from the head. We then use a safe, all-natural killing agent that is 99.9% effective at killing the live bugs. We can treat your entire family at once, which minimizes your wait time. We are adept at treating all members of your family, and we have a kid-friendly atmosphere. Best of all, we get you or any members of your family lice free in a single visit to our head lice clinic, so you can be back to your life without a red, irritated, itchy scalp. If you need lice removal Monmouth County residents have a quick, easy, 100 percent safe option in the hands of our trained head lice removal technicians at Lice Lifters Tom’s River.